At our typical motor currents “halfords” style automotive crimps very quickly degrade, become high resistance, and burn out. 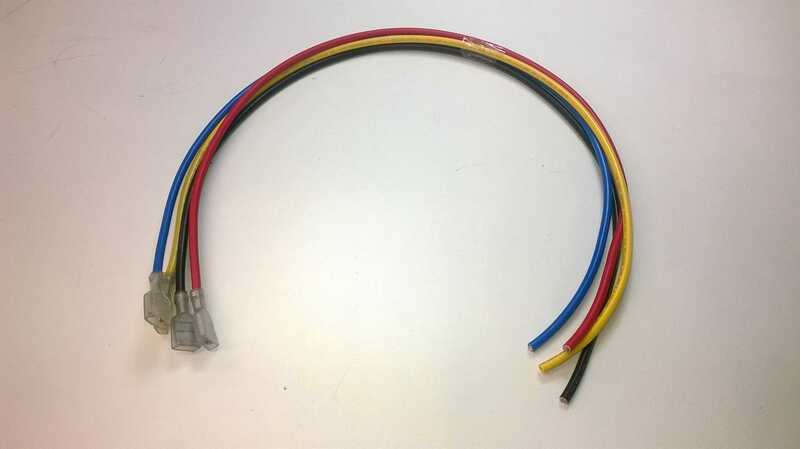 We offer these power leads with high quality, properly crimped push-on female terminals on one end. 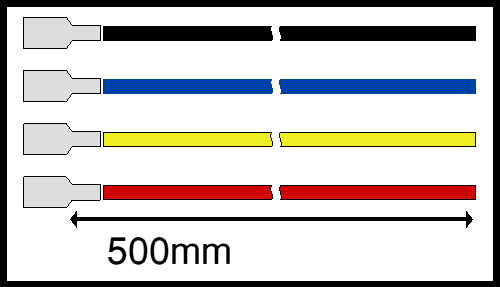 A set of 4 power leads, 50cm long, the set comprises of a black, red, blue and yellow cable. The choice of lead should be made to suit the motor’s continuous current rating. The table shows the continuous rating. The leads will take significantly more current for short periods. The following sets are available from stock, but we are happy to make up any length you want.